blessings. Pray, tell me what are the greatest blessing!" and to honour those who are worthy of honour — this is a great blessing. actions in the past and to set oneself in the right course — this is a great blessing. and to be of good speech — this is a great blessing. be engaged in peaceful occupation — this is a great blessing. and to be blameless in action — this is a great blessing. and to be steadfast in virtue — this is a great blessing. listen to the Path (Dhamma, Deen) on due occasions — this is a great blessing. enlightened discussions on due occasions — this is a great blessing. 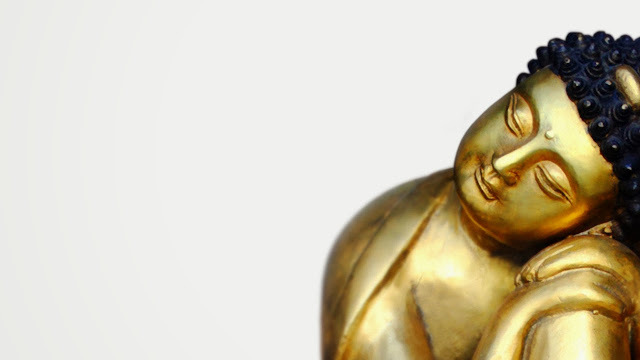 Noble Truths and the realisation of Nibbana — this is a great blessing. freed, from defilements cleansed, from fear liberated — this is a great blessing. established. These are great blessings." Maha Mangala Sutra, a famous sutra in Buddhism, which literally means the Discourse of Great Benefits or Blessings. Mangala means that which is good or something conducive to happiness and prosperity. Some have translated mangala as blessings, in fact all beneficial matters are blessings. This famous text: Maha Mangala Suttra cherished highly in all Buddhist lands, is a terse but comprehensive summary of Buddhist ethics, individual and social. The thirty-eight blessings enumerated in it, are like guide on life's journey. Rightly starting with "avoidance of bad company" which is basic to all moral and spiritual progress, the blessings culminate in the achievement of a passion-free mind, unshakable in its serenity. To follow the ideals set forth in these verses, is the sure way to harmony and progress for the individual as well as for society, nation and mankind.